Image of suspect wanted in armed bank robbery, according to McAllen police. A Nebraska man who stole a vehicle and robbed a bank before being apprehended by police at a local hotel was identified as 37-year-old Kenneth Shante Jones. 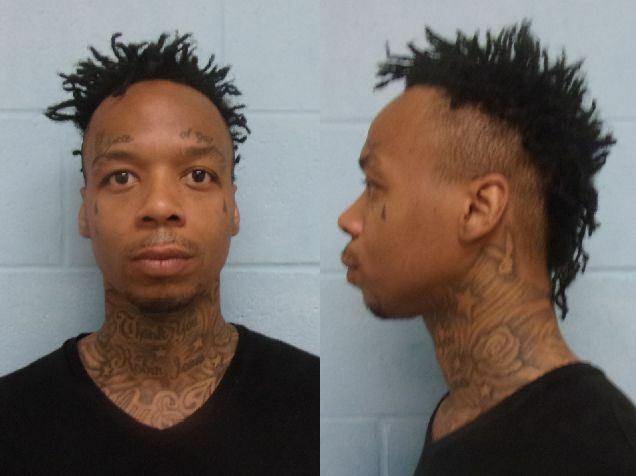 Jones’ alleged crime spree began shortly after midnight Tuesday when he entered a Stripes convenience store at 700 N. McColl Road and held the clerk at gunpoint, according to Jones’ criminal complaint. In addition to demanding money from the cash register, Jones allegedly grabbed the clerk’s keys and fled in the clerk’s 2017 Hyundai Elantra. 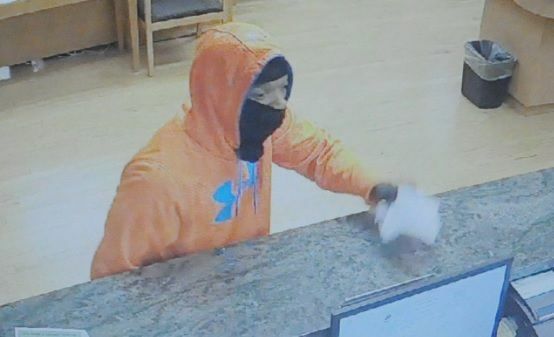 Ten hours later, at approximately 10:15 a.m., police say Jones walked into Greater State Bank at 3300 N. 10th St. and held a bank teller at gunpoint, according to a McAllen police news release. Police were called to the bank at 10:23 a.m.
Jones then fled the scene in the Elantra and abandoned the car in an apartment complex parking lot at 3900 N. 6th St., before fleeing on foot. The suspect in a bank robbery in McAllen on the morning of Tuesday, April 17. McAllen police officers search for a man suspected in a bank robbery on the morning of Tuesday, April 17. After evading authorities for a few hours, he was ultimately arrested at the Smart iStay Hotel at 1921 S. 10th St., according to the criminal complaint. While police have not disclosed the amount of money Jones allegedly stole from the bank, the complaint notes that detectives “located large amounts of U.S. currency” in Jones’ hotel room, in addition to a black BB handgun, the keys to the Elantra and ski mask and gloves Jones wore during both robberies. McAllen police were assisted by agents with the FBI’s McAllen office and the Texas Department of Public Safety Aircraft Division. Jones was charged with two counts of aggravated robbery, a first degree felony carrying a maximum prison sentence of 99 years. His bond was set at $500,000. This post has been updated to provide information about the charges and the bond.